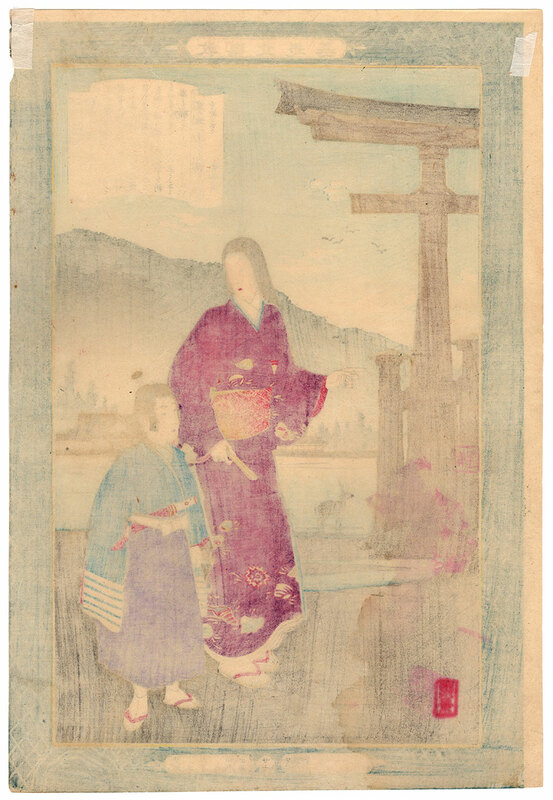 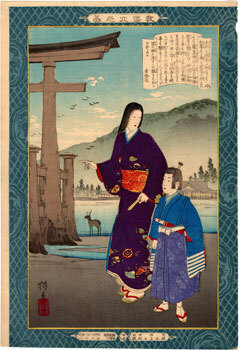 Refined polychrome woodblock print depicting a young Mori Motonari (毛利元就), here renamed Shojumaru (松壽丸), the famous daimyo of the Sengoku period (戦国時代), while on a pilgrimage to Itsukushima Shrine (厳島神社) on the island of Miyajima (宮島) accompanied by a female attendant. 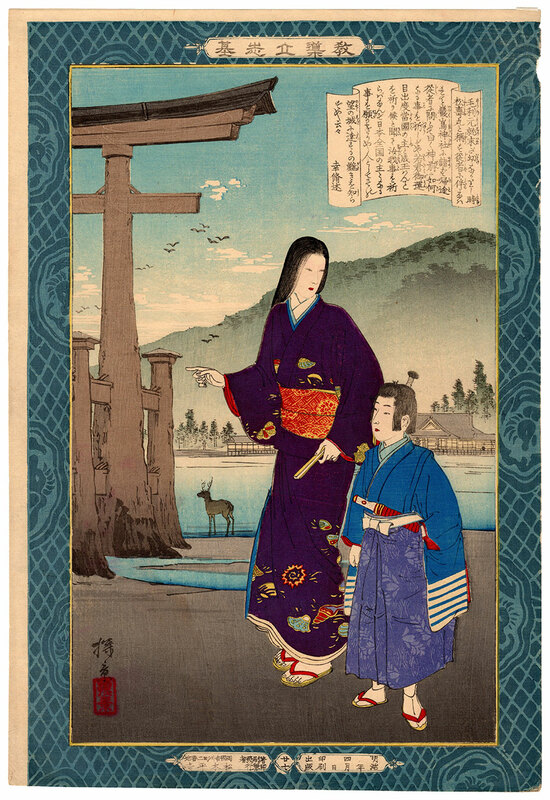 The print of large vertical format, is signed Tankei (探景), a pseudonym of the artist Inoue Yasuji (井上安治), and is taken from the series "Instruction in the Fundamentals of Success" (教導立志基), a long list of heroes and heroines depicted by seven different artists and who were regarded as standards of moral leadership and self-realization. 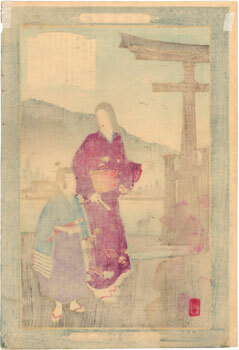 The work, made in 1889 by the publisher Matsuki Heikichi (松木平吉), despite a small laceration present in the upper part of the right margin, is in excellent general condition.